Matching furniture stand and pedals available. Jay's Note: I find the 3 band EQ with front panel sliders a huge plus. 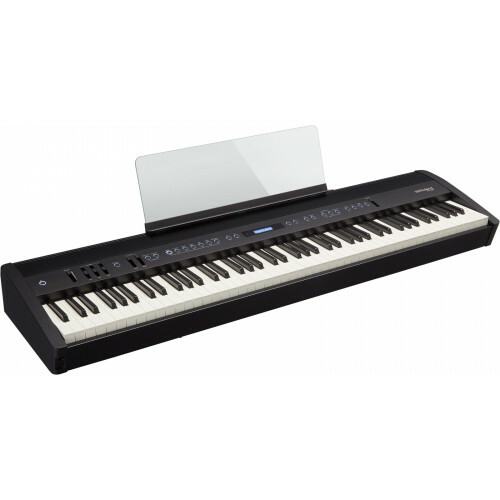 This portable digital piano offers exceptional sound and touch housed in a sleek, stylish cabinet that looks great and is easy to transport. 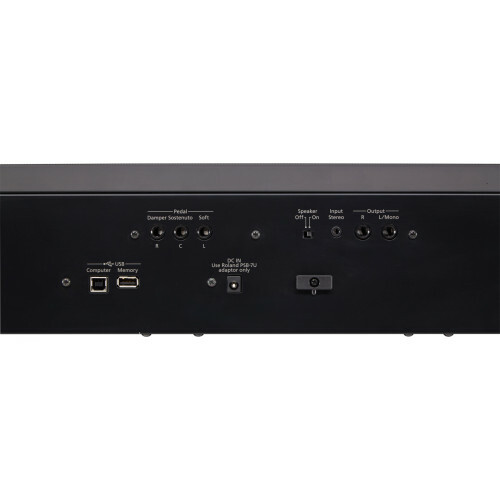 The specially designed onboard speaker system produces rich, impressive sound with ample projection for performing at small venues, while a range of non-piano sounds allow you to cover a variety of musical styles. 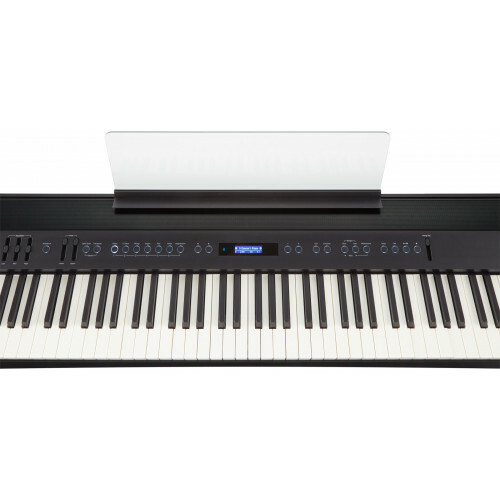 And with modern Bluetooth® wireless connectivity built in, you can connect a smartphone or tablet and enhance your playing and practice sessions with Roland’s Piano Partner 2 and other music apps. The FP-60 offers truly outstanding value, delivering premium piano quality in a streamlined instrument that travels anywhere. 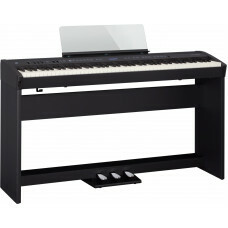 Add the optional wooden stand and pedal section and you have a great looking home piano. When a piano is designed to be portable, it often means that sound quality and keyboard feel are sacrificed. That’s absolutely not the case with the FP-60, as Roland’s advanced piano technologies deliver superior tone and touch that will satisfy the most experienced pianists. The SuperNATURAL Piano engine provides the dynamic, expressive sound of an acoustic grand, with rich, complex overtone changes that naturally follow your touch. And with 288 notes of polyphony, you can freely use the damper pedal to realize authentic acoustic performances. Then there’s the PHA-4 Standard keyboard with escapement and Ivory Feel keys, which incorporates the latest sensing technology to accurately translate your playing nuances for unrestricted expression. Even if you mainly play classic acoustic piano sounds, there are often situations when you need additional sounds to play various songs and styles. The FP-60 has you covered with a selection of pro-grade electric pianos, strings, organs, and synths, giving you sound options for nearly any musical genre. What’s more, you can store favorite sounds—plus other useful settings like layers and splits—in 30 user registrations for quick recall. Dedicated Upper and Lower volume sliders are within easy reach, allowing you to instantly fine-tune the balance of your sound. 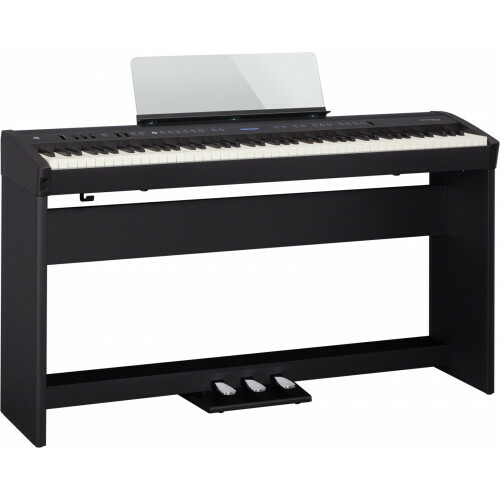 FP-60 No-Compromise Piano Performance for Home, Stage, and StudioPACKA..